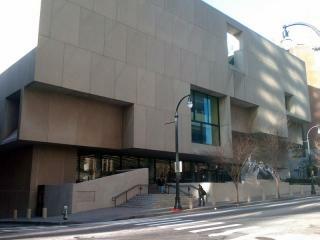 Last week, I took the following photo at the northwest exit of the downtown branch of the public library! 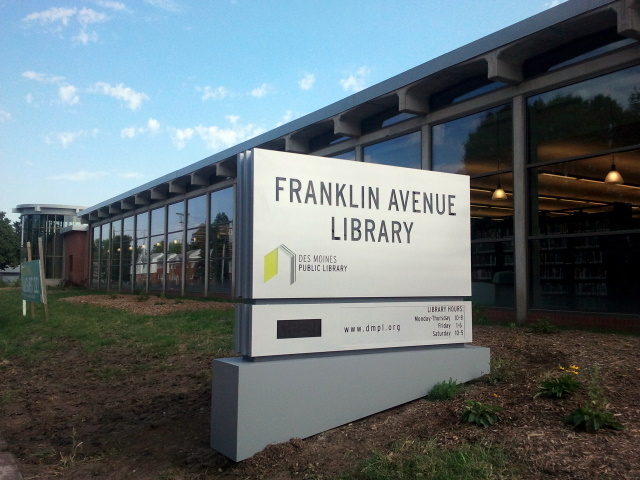 So, you know that while I think the design concept behind the downtown library is somewhat intriguing, I am not a big fan of it as a public building. I believe that just like you and me, municipal architecture has a responsibility to be a good public citizen. To residents, this means things not littering, stopping at red lights, and ending your 4th of July celebrations by midnight. 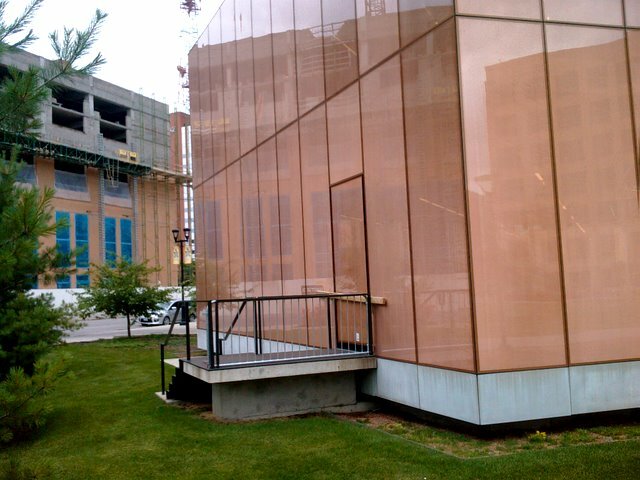 Though the entire facade (including the exit door) is made of glass, it is unlikely that occupants could break it in an emergency - it is three layers thick, plus a layer of copper mesh. I hope there is a good reason for blockading this exit with a 2x4 from the outside but I can't think of one. While it is unlikely that there would be an emergency necessitating use of this exit, emergencies are by definition unplanned and emergency exits are not allowed to be blocked.